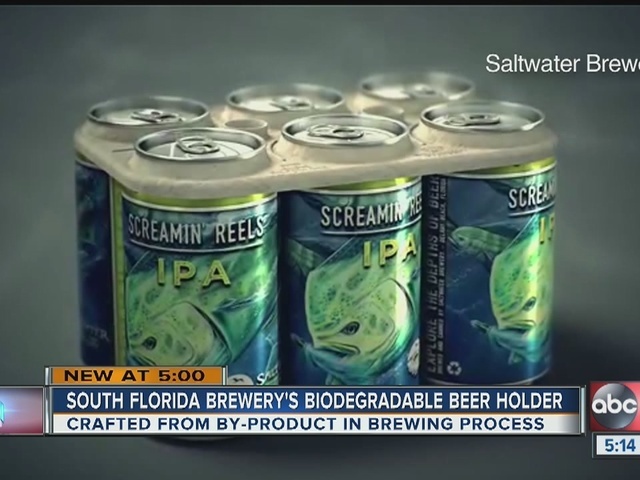 The old plastic rings that hold your six-pack of beer may be a thing of the past if a Delray Beach brewery finds its footing with a new product: the edible six-pack holder. Saltwater Brewery on Atlantic Avenue designed edible rings made from the by-products in the beer making process. They are 100 percent biodegradable, but they do cost more. The company hopes if more breweries sign on, production costs will go down. The rings replace the old plastic holders that injure or kill wildlife every year. 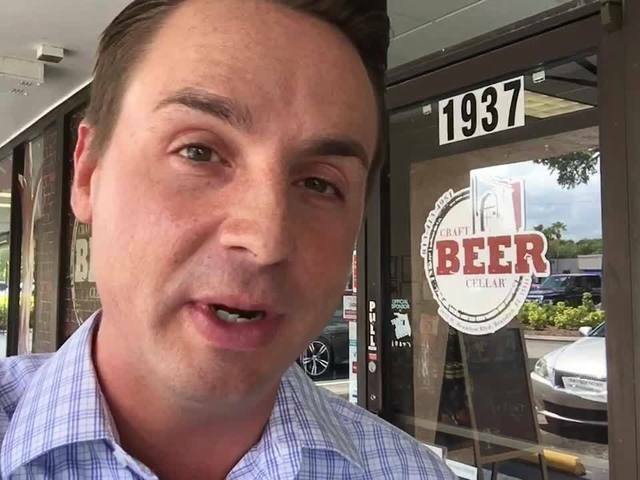 For now, the brewery is testing it out on six packs locally in the Delray Beach area. They hope to manufacture more than 400,000 in the near future. One of the founders of the brewery said he hopes to get it on the shelves in other parts of Florida within the next six months. The brewery released a video of the product on Facebook and it has taken off on social media.